Correa was charged in September by prosecutors of orchestrating the 2012 botched kidnapping of opposition lawmaker Fernando Balda in Bogotá. Ecuador's highest court has ordered former president Rafael Correa to stand trial for his alleged role in the 2012 botched kidnapping of an opposition lawmaker. Correa was charged in September by prosecutors of orchestrating Fernando Balda's kidnapping in Bogotá after he fled to Colombia's capital to escape what he considered persecution by the then-president. On Wednesday, a Supreme Court justice decided that the accusations against Correa, his top intelligence chief and two others merited a trial. Judge Daniel Camacho also formally declared Correa a "fugitive" after he flouted for months an order to appear before the court every 15 days as part of the ongoing probe. 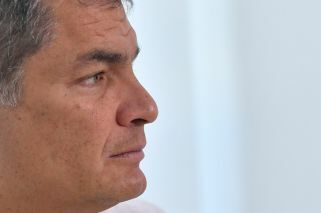 For his defiance, Ecuadorean authorities had previously requested Correa's arrest and extradition from Belgium, where he has been living since leaving office last year. Correa, who served as president from January 2007 to May 2017, has long denied the charges, considering them part of a political witch hunt headed by his hand-picked successor turned arch-critic, President Lenín Moreno. Late Wednesday, before the judge's ruling, he called the charges a "farce" but said he was more worried about Ecuador's future than his own legal troubles. "We expected something like this because for weeks we've been witnesses to the uncontrolled political pressure being applied to the judge," Caupolican Ochoa, Correa's attorney, said outside the court where a small group of Correa supporters had gathered. Balda said he took no pleasure in the legal victory because "we can't celebrate the fact that these criminal acts were ordered by a president." 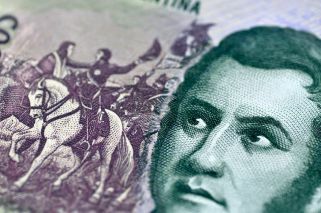 Correa, a firebrand who governed Ecuador for a decade, garnered legions of supporters by promoting generous health and social programmes aimed at reducing inequality. Supporters credit him with providing Ecuador political and economic stability after a tumultuous period in the nation's history. But the combative leader also feuded with the media, business community, indigenous groups and environmentalists by pushing through measures that consolidated executive power. And his record has increasingly come under scrutiny since leaving power. In addition to the kidnapping case, several top aides, including his former vice-president Jorge Glas, have either been jailed or are under investigation for corruption. Balda was abducted but quickly escaped harm after nearby taxi-drivers alerted police, who stopped the vehicle in which he was being taken away. Colombian authorities later determined that three intelligence agents with Ecuador's police had contracted the kidnappers to abduct Balda. Proceedings against Correa are unlikely to begin anytime soon because he can only be tried once in Ecuador. If found guilty, he faces up to 12 years in prison.